Corbett Wildlife Sanctuary, the most clickable national park in India, has the privilege of being India's first National Park to protect the Bengal Tiger. It was developed and nurtured by Late Jim Corbett in 1936; a step has been taken to preserve the Wild Bengal Tiger under the Project "Protect Tiger" in 1973. Situated in the scenic spot and green lush forests with the parallel running valley to a series of ridges cover an area of 520.8 sq. km, and is famous for its individualistic scenic beauty. 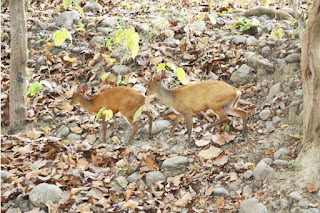 Flora and Fauna of Corbett National Park makes it a unique and green lush forest of India, which is quite difficult to be found in any other national parks of India. According to the Wildlife Specialist and their 2-year long survey in the National Park, Corbett National Park consists of 50 mammal species, 580 bird species, 25 reptile species and 110 tree species. 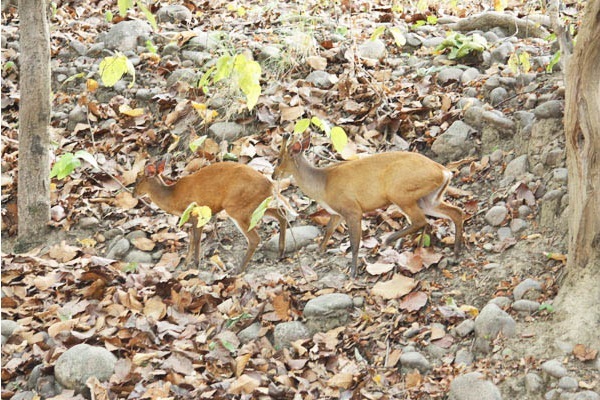 Varied ranges of Corbett National Park includes the large mammals also and the lesser ones like reptiles, amphibians, the fishes, the mollusks, the crustaceans and more. But the most amazing species of all the time of Corbett National Park, the ferocious yet amazing Bengal Tiger turns the head up. Corbett National Park has maintained its congenial environmental condition to preserve the Bengal Tiger and its prey such as Deer, wild Boar and other herbivorous animals. Corbett also comprises of Elephants, Leopards, Himalayan Black Bear, Flying Fox and Indian Pangolin, Sloth Bear, Jungle Cat, Fishing Cat, Himalayan Black Bear, Dole or Wild Dog, Jackal, Mongoose, Common Otter, Goat Antelopes, Langurs, Mongoose and Crocodiles. According to Zoological team survey of India, Corbett National Park has more than 580 species of birds, which comprises of domestic as well as migrants. Some of the most prominent birds that found in Corbett National Park such as Commorants, Darter, Grey Heron, Egrets, Cattle Egret, White-necked and Black-necked Storks, Parrots, etc. Corbett National Park offers two types of Safaris such as Elephant Safari and Jeep Safari that excites the tourists more, and avails to enjoy the safari in Corbett Jungle. The Park also has a Visitor Center and a Museum that features the bio-diverse models that relates to the history of Corbett National Park.